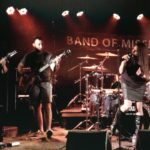 Band of Missfits – A four piece Indi Rock band from Perth Western Australia. 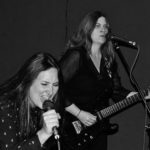 In just a few short years, Band Of Missfits have established themselves with a solid, no-nonsense sound and an ever-increasing repertoire of catchy, rousing songs. As with all good rock bands though, it's the stage that matters most to Band Of Missfits. 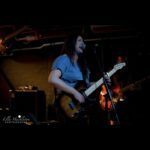 While Higher Passage shows what they can do in the studio, this is first and foremost a live band – with a workhorse gigging schedule to prove it. So their plan for the year is to play as many shows as possible, both at home and on the road, as they continuously work their way towards a debut full-length album. 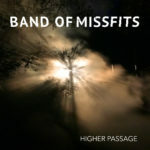 Band of Missfits are a great band with great songs. Kym Redmond has one of the best voices in rock, beautifully controlled and packed with power. The band plays as one and delivers their original songs with honesty and conviction. We'd have no hesitation in recommending them or having them share the stage with us again - as our crowd loved them. Thanks for rocking out with us. Hells Bells, A Salute to AC/DC. 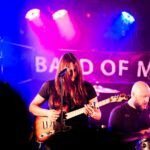 Band of Missfits are a group with heart and soul. They are such fun loving people who really enjoy making music. They do what they do really well and have an awesome time doing it. I’m super proud of these guys! Keep fighting the good fight and bringing us originals that knock our socks off! Love them! Awesome bunch of talented musicians on the one stage and can’t recommend highly enough to check them out!! We went along last night and watched Band of Missfits. They were great. Loved their music and almost all of it was original. We’ll be back to see them again for sure. Great band great people.. do ya self a favour and check em out Oi.